Why Drink Raw Goat's Milk? Many lactose intolerant people are pleasantly surprised to find that they can easily digest goat's milk. It contains considerably less lactose than cow's milk. Goat's milk has been used to aid in the treatment of ulcers due to its capacity to buffer acids in the stomach. Goat's milk contains bioactive components that help protect against the growth of harmful bacteria. 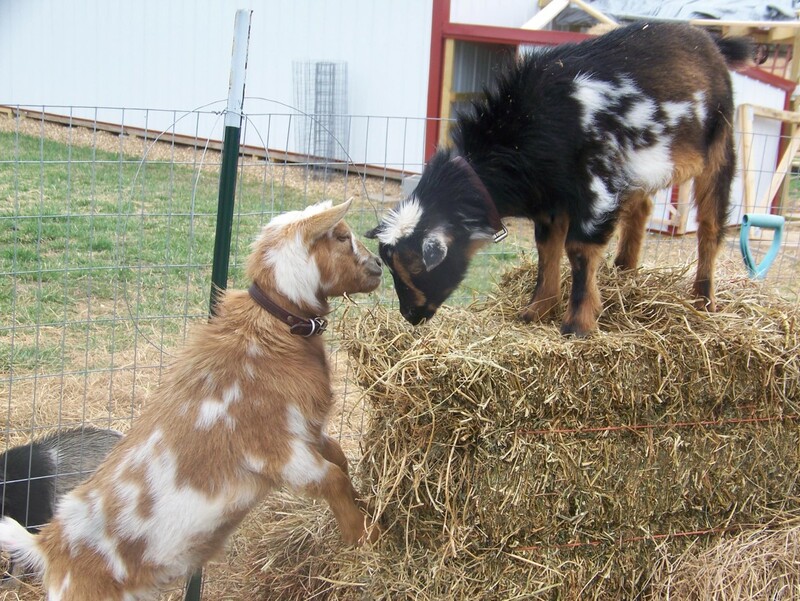 Raising Nigerian Dwarf goats for milk has become increasingly popular among small farmers. These little goats, with their sweet disposition and diminutive size, are excellent milkers and are easier to handle than most other goat breeds. One or two well-managed goats can be expected to produce an average of one to two quarts of milk per day, enough to feed most families. Because of the high butterfat content of their milk, ranging from 6% to 10%, it is perfect for use in cheese, yogurt, and ice cream. Another popular use for this high-fat milk is as a base for a rich and creamy soap that is relatively easy to make at home. 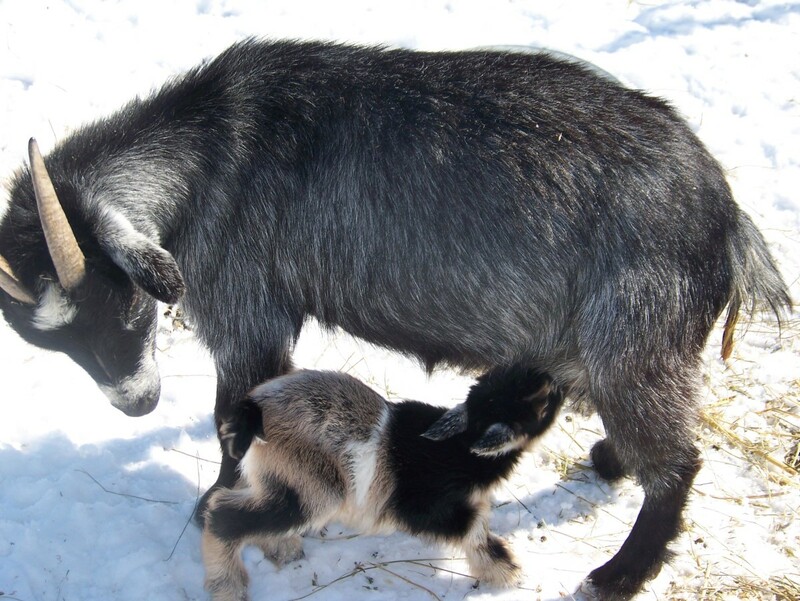 Raising Nigerian Dwarf goats has benefits and rewards beyond the contribution of tasty and healthful milk to the family diet. 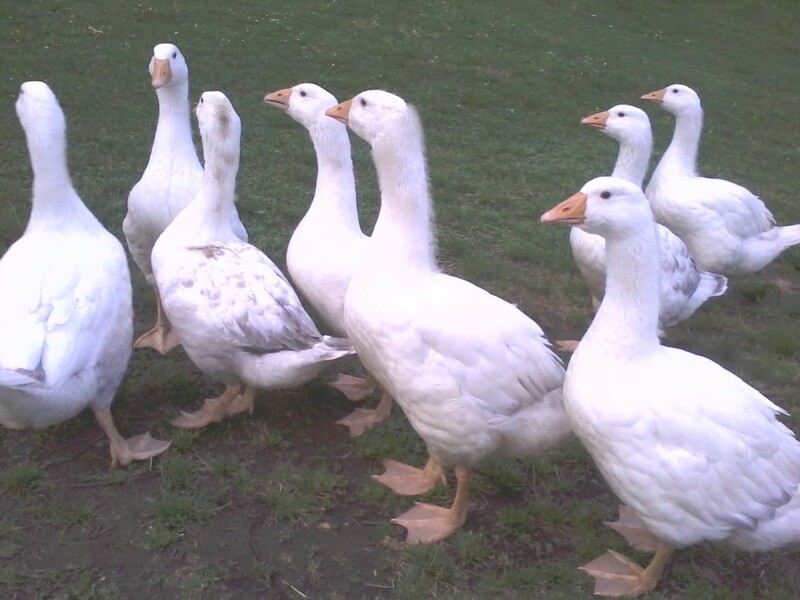 They are intelligent and affectionate, making them a fun and entertaining addition to the farm. Children will love the goats’ friendly and inquisitive nature; if they are properly handled these adorable little goats will come when called, “talk” to you with their human-like voices, and beg you for a scratch on the head or belly. Typically, Nigerian Dwarf does are 17 to 19 inches tall and bucks are 19 to 21 inches tall; adults weigh around 75 pounds. Their bodies are well-proportioned and look like perfect little miniatures. 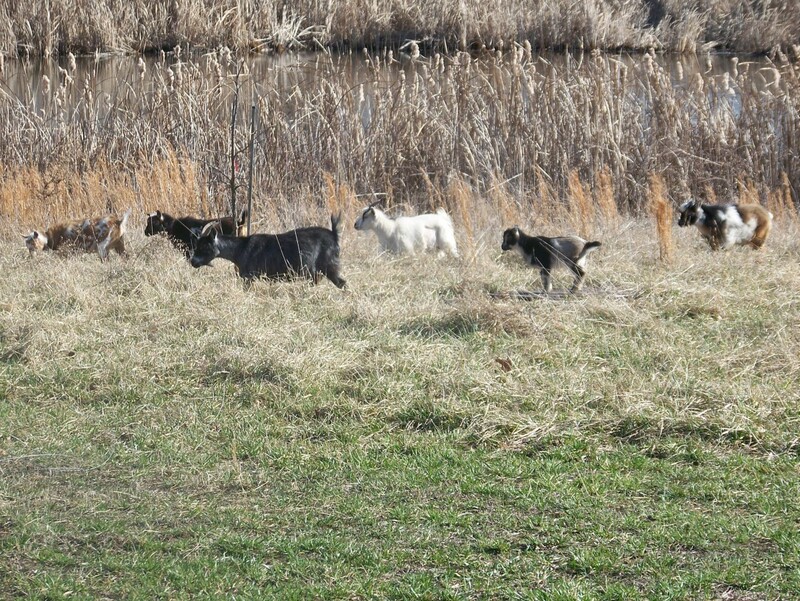 Unlike many goat breeds , they come in an assortment of pretty colors, from white to gray roan to calico and more. Much of the fun in raising them from birth is not being able to predict the color of a kid before it is born. This little doeling’s mother is a solid dark gray roan. While raising Nigerian Dwarf goats is relatively easy compared to other breeds, they still require certain conditions to be happy and healthy. Goats especially do not like to be wet, so a shelter from the rain is essential. Nigerian Dwarf goats do well in chilly weather as long as their shelter provides a barrier from the wind and rain. Straw can be used to cover the ground and will act as insulation from the cold. It is actually beneficial not to clean the straw too often in the winter. Just add a new layer of straw every 3 weeks or so during the winter months and your goats will stay warm and happy. In the heat of the summer, cleanliness is more important, so the straw should be completely raked out and replaced every two or three weeks. This 6' x 9' goat barn provides ample shelter from the wind and rain and plenty of room for up to a dozen Nigerian Dwarf goats to snuggle together. Contrary to popular belief, you cannot feed a goat just anything and expect it to thrive. Goats are “browsers”; they eat leaves, stems, and even bark from a wide variety of plants and shrubs and will stand on their hind legs to reach delicacies on a tree. To be successful in raising Nigerian Dwarf goats on a small farm, one must have a good understanding of their nutritional needs. An informative book, such as “Storey's Guide to Raising Dairy Goats” by Jerry Belanger, is a good place to start, and much information can be found online. Because they are small, Nigerian Dwarf goats require less feed than larger goats, but it is important that they receive a well-balanced diet, especially if they are producing milk for a family. 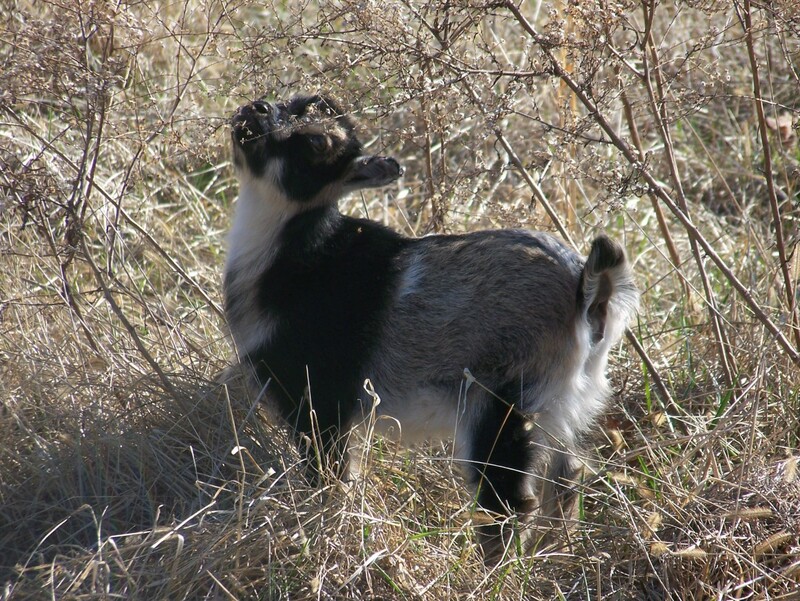 In addition to nutritious food and adequate shelter, Nigerian Dwarf goats need companionship and play to be happy. Goats hate to be alone, so it is essential that a small farmer raise at least two goats. Besides being unhappy, a lone goat will drive its family crazy crying for attention. Goats love to play, run, and jump and are especially fond of climbing on rocks and other high objects. 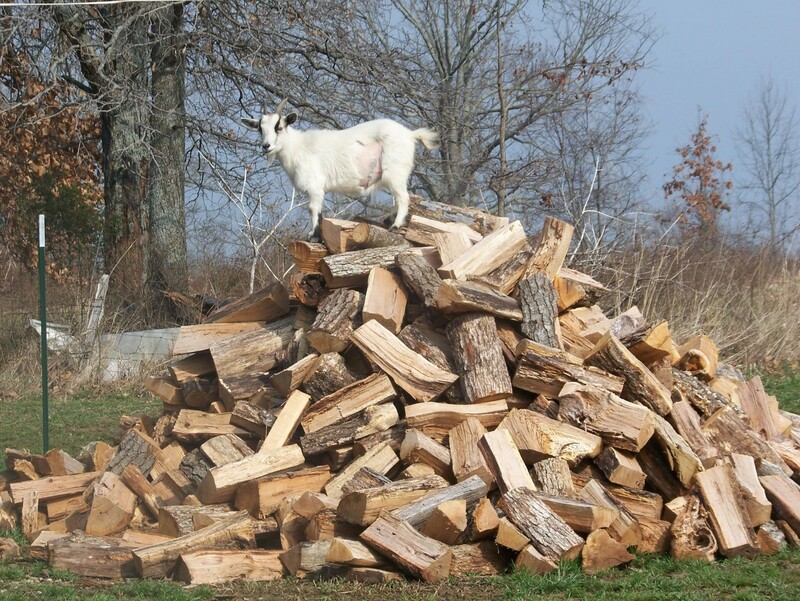 Many small farmers provide rock piles, wood piles, and even jungle gyms for their goats to play on. Raising Nigerian Dwarf goats is not only a great way to provide healthy goat milk for your farm, it is fun and rewarding, and children will particularly enjoy taking care of and playing with these affectionate little goats. Just remember, a happy goat and healthy goat is one that has companionship, good nutrition, and a safe and dry place to take shelter from the elements. Thanks. This is really cool to read. We thought about having a goat but changed our minds. This information is worth considering though because we live in an area filled with many types of food and cultures, and I am a fan of goat cheese. Keep up the great articles and wonderful comments in the forum. Oh, I love goats! I got to play with some babies last spring and it was so much fun. At this little farm, a horse, two adult goats, two kids, two turkeys, a couple guinea hens, chickens all slept together! It was amazing, and so cute. Hi Jackie, there is nothing wrong with putting them with a horse, if the horse will tolerate them. A horse could easily kill a goat, though, so if it hasn't been raised with them I would be hesitant to put them together. Do you recommend putting them with a horse? My hub on ND goats is the first one on the related hubs list. I get a lot of traffic from your hub, so I figured I should have a look. This is a terrific article with great photos, no wonder I get so many views linked to my hub. Your hub is listed first on the related hubs links on my hub. I hope you get a little traffic from mine. Great hub, voted up. THEY ARE JUST COOL AND . IF ANYONE WANTS CUUUUUTTTTEEEE GOATS. Has anybody tried to 'get your goat'? Hi Bunny. Thank you for your comment. I'm not too worried about the DOJ or the FBI, since we make sure we know and follow the laws. HEY watch out with the raw milk, the DOJ will send the FBI to arrest you, didn't you know, it's the governments job to tell us we are not allowed to drink raw milk of any kind, and to spend TONS of taxpayer money to do an investigation on AMISH people who sold some raw milk and ARREST THEM? Cause I mean THAT'S criminal activity, right? sheesh. ?_? I learned to milk a goat when I was a kid & my dad said goat cheese & milk is the only kind that could really be 'good for your body' and that's all he eats or drinks. I could definitely get into that & would love to learn how to make the delicious cheese as well. Also, GOOD LUCK FLYING G. FARMS !!! We got 2 dwarfs a month ago and love them! They are so much fun, my favorite pets ever. You have done a great job with this Hubpage. You have given some interesting facts on these beautiful goats that can be very useful for anyone wanting to have one of their own. Thank you for sharing this with everyone. I have been considering goats for a while now. I have decided that if I do it, I will get minis. This is a very interesting and informative article. I found it while doing research and am bookmarking. As a Nigerian, a mix between Igbo and Yoruba, I must say, this is a great article. As a child, I got some of these goats as a gift from my uncle and step-grandma during my first visit to my village. That was some decades ago. I remember how they followed me everywhere and ate out of my hands. They were so an adorable. So cute! I want one :-)! All I can say is AHHHHHHHH. They so cute. I love the way they climb on things. We had goats at a store we used to shop that climbed all over a huge tree that was downfallen. It is amazing how they grip onto the tree to climb all over it. My dogs loved watching them. fantastic. I was once in Nigeria in early 2009 and saw those pretty dwarf goats. Lol! I can't wait to breed them. Thanks for sharing with me today, keep them coming. Thank you for the interesting comment, cuteuniverse! I have not experienced the strong odor; our goats have less of a smell than our dogs. Perhaps the breeding here in the U.S. has resulted in an emphasis on different characteristics, such as an increased milk supply. I have always wanted goats, and before we even moved to a farm, I told my husband that I wanted two goats as pets. 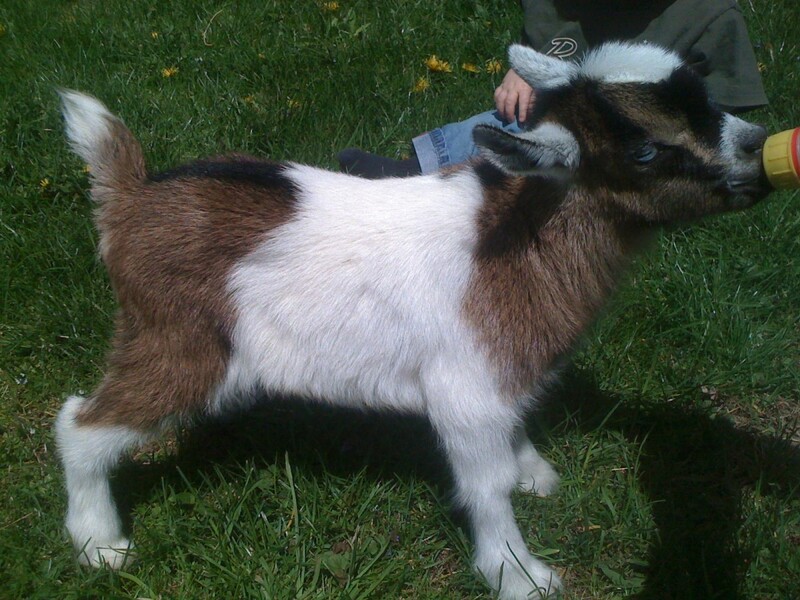 After doing some research, I settled on the Nigerian Dwarf goats because of their small size and calm disposition. Our first two goats were our pet wethers, Spike and Gizmo, and my husband fell in love with them, too, so now we are expanding our herd. They are enjoyable as well as useful on the farm. cat on a soapbox, while I don't personally think these goats are too much work, I want to make sure not to give the impression that there is very little work. They do require attention and time as well as diligence to make sure they are properly fed, watered, and all health concerns are addressed. I did not mention parasites in the article, but just like any domestic animal, they need to be kept free of worms, fleas, and lice. As an Igbo Nigerian, your hub caught my interest. 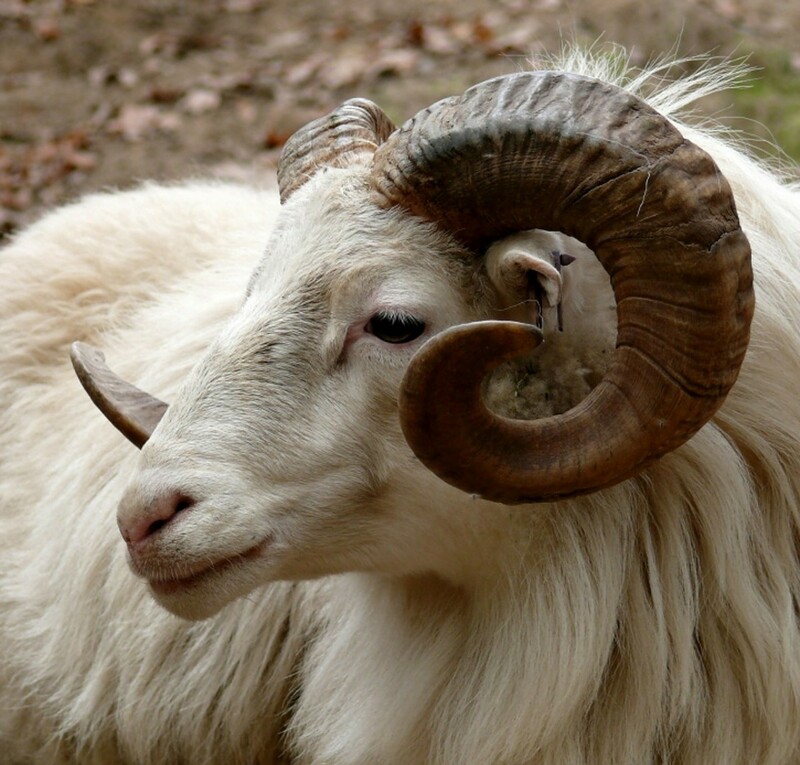 In my culture in Nigeria, the 'dwarf goats' are called 'Mpi'.These goats are generally regarded of a lesser value than their larger counterparts because they emit a strong odor and are usually cheaper to purchase than the other breeds. We do not drink goat milk,so I am curious to find out how you developed an interest in this particular breed of goat. Nice hub. Many of us think of raising any kind of livestock as too much work, but you have taken away that myth with your well written hub. Congratulations on your win! Frogf, I recommend you get one of the books listed in the hub so you will have a good understanding of a goat's nutritional needs. 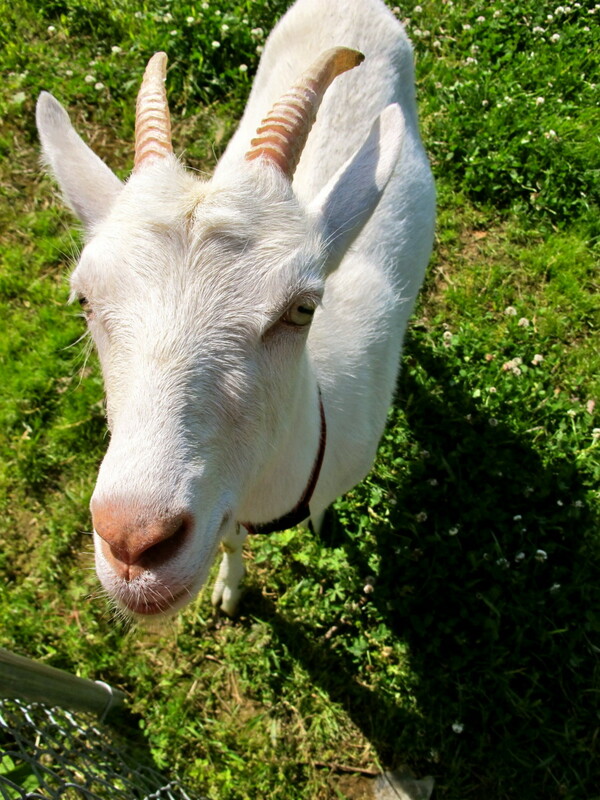 Grass should not be the primary food for goats; they prefer shrubs, leaves, and other plants. If you will be keeping them in a small pen, you will need to provide a good quality hay, a mineral lick, and some goat feed to make sure they get all the necessary nutrients. Peggy W and Mrs. Menagerie, thank you! I had no idea! Great hub on a great subject! What an interesting and informative article about raising Nigerian Dwarf goats. They sure are cuties! If I lived in the country, I would be tempted to get a couple of them after reading this. Congrats on your win! Thanks for answering. I will definatly consider getting two wethers now. How much grass do you think they will need for grazing. Also does a female need to always be pregnant to milk her. Native Gardener, you're welcome and thank you for stopping by! Frogf, we currently have six goats. 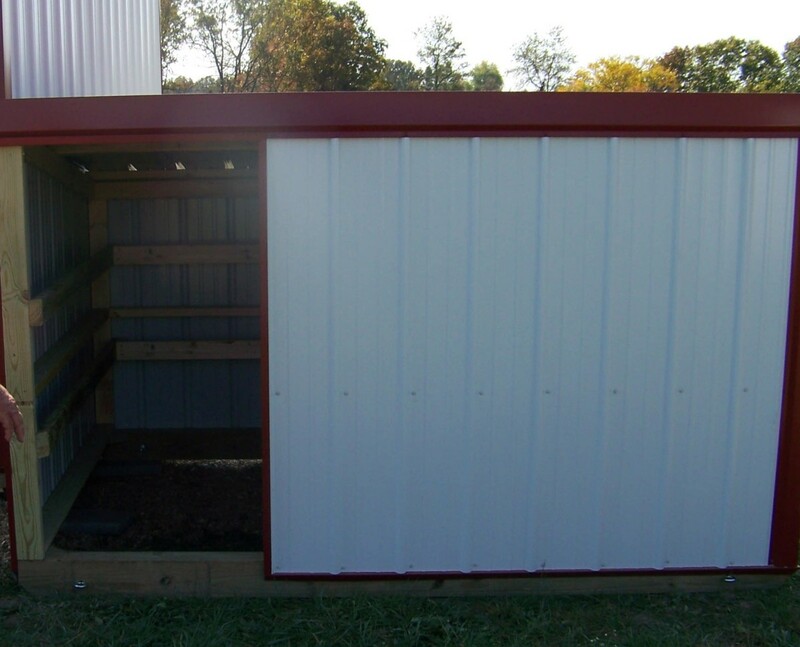 Two goats will need a small leak-proof shelter (even a large dog house would do) and a reasonable amount of room to run around in their pen. We tend to provide much more space than needed, but we like our animals to have plenty of exercise. If you're going to milk them, you would probably want a shelter big enough for a milking stand (unless you like to stoop!) and perhaps tall enough that you don't keep bumping your head. If you're going to get two goats just for pets, than I recommend you get two wethers (neutered males). They grow up sweet and friendly. (Spike and Gizmo, pictured in the hub, are wethers.) One thing I did not address in the hub is the need for adequate fencing. Goats are escape artists so your fencing must be secure. Great win! and great subject. In the 1930s, my mother used to drive 15 miles each week to a goat farm to buy goat's milk for me - bad allergies to milk, eggs, wool; I must have been a pain in the neck. These goats are so cute!!!! I want one. This is really good info on here. How many goats do you have and how much room will a Pair of them need. Thanks for sharing these cuties with us! Congrats on your win - what cuties - they'd have some fun with my malamutes! Emdi, I'm glad you enjoyed it! Les Trois Chenes, I know what you mean about being a handful, because even the little ones can be difficult to contain, especially when they would rather be somewhere else. Viryabo, thank you for saying this hub is deserving. That feels great! Congratulations PrettyPanther, this is a fantastic informative article on those cute little goats. It makes me want to begin rearing a few. Thanks for the detailed info. It deserves the prize. I kept the full sized goats and they were lovely, great characters but a real handful. At least with the smaller variety if you want to go one way, and they want to go another, you have a sporting chance of winning! Congrats on your win. Thank you, WannaB, and yes, they really do eat poison oak! Congrats on winning the Sunday contest. I loved the pictures. Goats are about the only animal I would think of having, but still don't know if I can make the time commitment. Do they really eat poison oak? Congrats! You deserve it, plus those goats are really cute. Thank you for taking the time to read and comment, Ruby and Paradise. Winning today's contest certainly took me by surprise! Nice! Congratulations on winning the contest for Sunday. I've always thought about getting a couple of goats! Very informative article, thanks. Congratulations on the contest, way to go. Thank you! I'm glad you liked it. We have a great time raising our goats. They are so entertaining! Wow, these goats are so cute! You've offered a great introduction to Nigerian Dwarf Goats - I really appreciate the photos and tips. Voted up and useful!